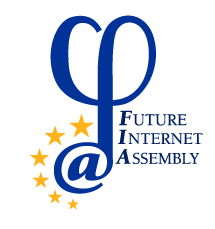 Preparatory Meeting for the Future Internet Assembly, Brussels, Belgium, September 15, 2008? FISE session proposal merged - Version dated from 11.09.2008 after merging 3 proposals: N1 (FI socioeconomics), NEM2 (content), and ISI2 (mankind internet). The FIRE consortium asks each cluster to identify and present use cases for their facilities during the FIA Madrid. Detailed descriptions of the use cases using the template below need to be provided by November 21. More information about this event is available at http://www.fi-madrid.eu/ and on the Future Internet website. More information about this event is available at http://www.fi-madrid.eu/. (Update 25.07.2008): According to a tentative schedule, the Socio-Economics session will be held on December 9 from 16.30 - 18.30 and combines 3 proposals: N1 (FI socioeconomics), NEM2 (content), and ISI2 (mankind internet). (Update 15.09.2008): The FISE session will run until 19.30 (1 hour more) to allow the integration of additional contributions to the session as decided in the FIA preparation meeting?. The final session agenda will be determined on October 13.